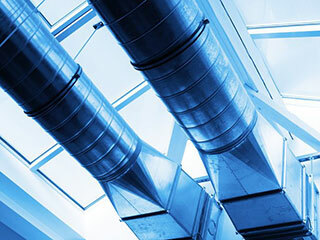 Air duct cleaning is an essential job which should be treated with the respect it deserves. As an owner or other high-ranking member of staff, you’re responsible for the health and general well-being of your workers. When air ducts aren’t cleaned properly, the air supply which flows through them can become dangerous to breathe in. This is a motivating factor for having a cleaning where you work. A visual inspection will indicate overall cleanliness, but you’ll probably have to look a bit further than that. Though most companies only call in cleaners when visible dust is present, what about those hidden areas? Ducts should be fully cleaned, especially when you’re paying for a full service. Leftover dirt needs to be removed because it can shrink the passageway of your HVAC. This means your system must work harder to fulfill basic functions, which reduces efficiency and can contribute to higher bills. My Allergies Are Acting Up! Harmful dust and contaminants can cause problems among employees, especially those who are sensitive to breathing issues. Though there’s no certainty dust will cause health complications, it can aggravate certain individuals. It is your responsibility as an employer to look after the well-being of your staff, and creating a clean environment will help staff be more productive. Mold can grow anywhere, but especially in damp, hot environments. During colder months, the heat is on more often, and this can become a breeding ground for mold, bacteria, and fungi. Summer is equally as challenging, when natural heat and moisture can lead to unwanted findings. If mold and mildew build up, it’s definitely time to get a cleaner in. Are There Dust Particles Floating Around? If your workplace is constantly filling up with dust, have you ever considered the source of the problem? Dirt from your air ducts can resurface on office equipment, creating regular mess which requires cleaning. With regular air duct cleaning, your office environment will stay fresh for longer, and most importantly, those pesky dust particles will be gone. We hope you have found this article informative, and are now capable of making well-informed decisions on route to finding the perfect cleaner. If you have any questions, please contact our experts and we’ll get back to you.